Massage is a lot more than applying oil and pressure to muscles to relieve pain. It goes deeper than that. 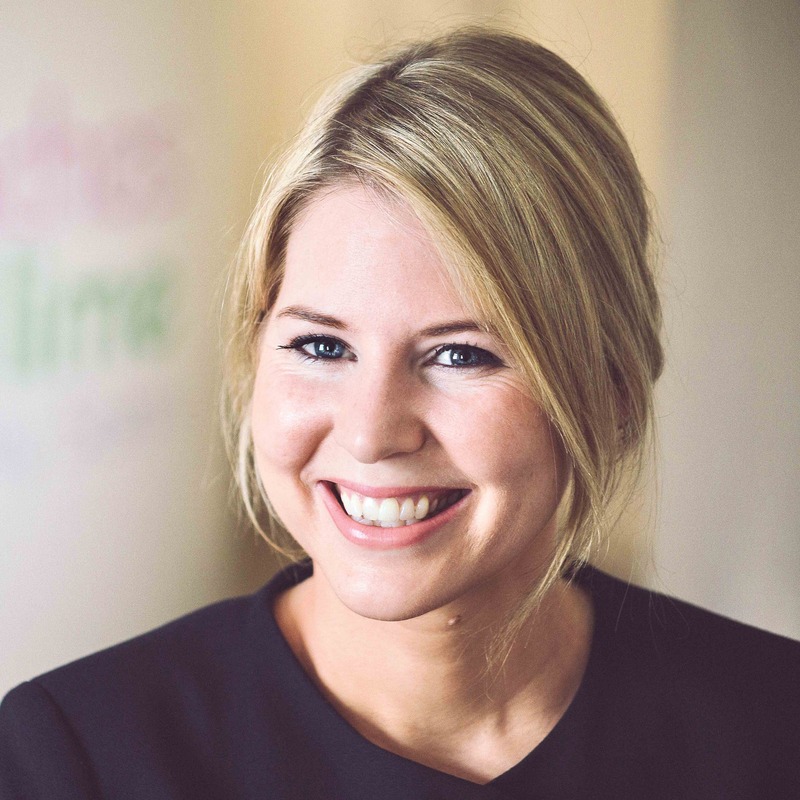 At Peaches & Lime we offer a selection of massage treatments and every single one of them have holistic elements to achieve the best possible results. I always like to point out that massage is a lot more than applying oil and pressure to muscles to relieve pain. It goes deeper than that. You need to care for what's happening inside your body. If you don't you won't get the full outcome. In order to get the full benefits to a massage, we have to work together to get the full outcome. Your experience is never one sided. At least 60%, if not more, of stress build up and pain in the body is caused emotionally, in my opinion. Don't be afraid to express how you feel and deal with problems when they happen. Listen to what your body is telling you and act on it. Learning how to breath and control your breath is fundamental to eliminate stress and anxiety in the body. For this reason I always use 100% pure essential oils to help you to breathe properly. I find it next to impossible to provide a massage treatment without using essential oils. I just feel I'm doing an injustice. Many of my clients are holding on to chronic pain for years, and it is incredible how resilient the body can be. This does not have to be the case. I have learned how to use Transcendental mediation to improve my daily life and I find it impossible not to mention it to my clients. I would like to encourage people to practice meditation daily to improve all aspects of their life. My absolute goal is to make you feel the best way you ever have & continue this process through your life. People often ask me how often you should get a massage. This is very personal. On average, I would do a course of 3 treatments one week apart and then once monthly. 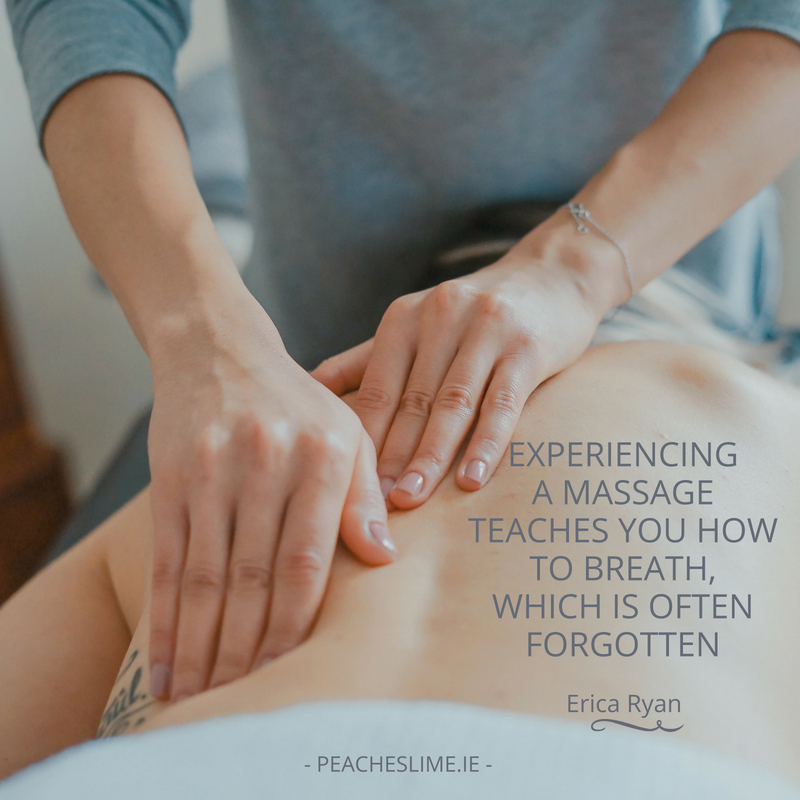 If you have any questions about massage or any of our massage treatments that are available in salon, please get in touch with me by email: erica@peacheslime.ie or call: 01-2056709.